A smooth lip colour that provides pure, long-wearing colour to lips in three on-trend shades for summer. With a convenient purse-friendly package, Lip Crayon never needs sharpening, making it perfect for travel and touch-ups on the go. 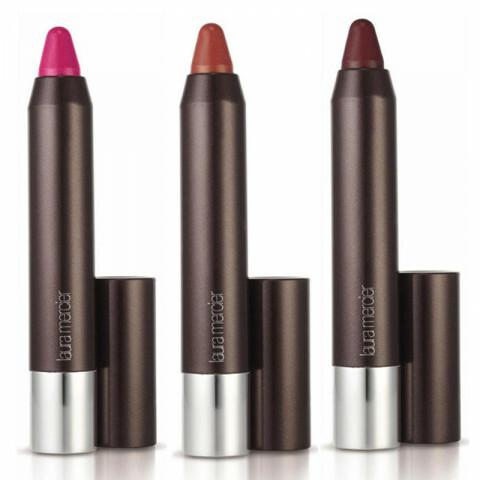 Delivers smooth, pure colour to lips in one swipe. Sheer to medium, buildable coverage with a natural, luminous finish. Applies smoothly onto skin; does not skip, drag or tug. Moisturizing, non-drying formula leaves lips feeling soft and nourished. Feels lightweight and comfortable on lips. Long-wearing colour (8 hours) stays colour-true throughout the day. Transfer-resistant; does not bleed or feather; does not settle or migrate into fine lines. Portable package is perfect for touch-ups and travel; never needs sharpening.